At Unity Trust Bank we believe our workforce should reflect the diversity of the communities we collectively serve. We champion equality and inclusion, ensuring that all roles are open to everyone, regardless of gender. It really is about the best person for the job. That’s why we signed up to the HM Treasury’s Women in Finance Charter. At Unity, we report on the number of women in our executive and senior management teams as part of our annual social impact monitoring. 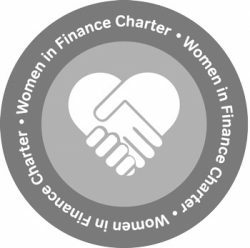 We are pleased to confirm that, since signing up for the Women in Finance Charter, we have met our target of maintaining a 50% gender split in our Senior Management Team and increased gender diversity on our board from 11% to 25%. You can read our Social Impact 2018 report here.